Sandarbh, a bimonthly in Hindi, was conceived in 1994 to meet this need. Sandarbh means ‘context’, and carries articles on various topics in Science and Education. These articles are meant to be a resource primarily for middle and high school teachers and students, who teach and learn in Hindi. The articles are usually in a informal style, and as far as possible are free of jargon. The magazine also serves as a means of communication between teachers across the country who write to us about their classroom experiences, activities and experiments that have worked and failed. Articles submitted to Sandarbh are often in Hindi, though many of them are in English and other languages as well, and are translated for publication. A resource bank for teachersA school teacher in India often has access only to the prescribed textbook to help her in her work. Even when she does find books or articles on curricular or related topics, they are likely to be in English. In a country where less than 2% of the population is fluent in English, there are limited resources in other languages for a teacher to refer to.Sandarbh, a bimonthly in Hindi, was conceived in 1994 to meet this need. Sandarbh means ‘context’, and carries articles on various topics in Science and Education. These articles are meant to be a resource primarily for middle and high school teachers and students, who teach and learn in Hindi. The articles are usually in a informal style, and as far as possible are free of jargon. The magazine also serves as a means of communication between teachers across the country who write to us about their classroom experiences, activities and experiments that have worked and failed. 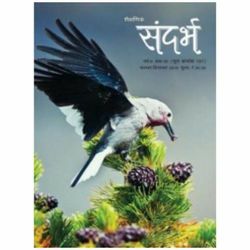 Articles submitted to Sandarbh are often in Hindi, though many of them are in English and other languages as well, and are translated for publication.